The Multi Defense SPF 30 blocks the release of stress markers and stimulates the production of new cells. The SPF 30 soothes, hydrates and softens the skin. The lightweight cream works as a shield. It contains a unique, protective formula that improves the skin’s barrier function from within. 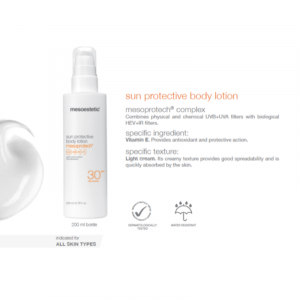 Multi Defense SPF 30 is a vital part of any daily skin care routine and an indispensable weapon in the battle against skin aging. Daily use of the Multi Defence SPF30 strengthens the protective barriers within the skin to help fight the daily battle against skin ageing. With UV-A and UV-B filters the SPF can be applied straight after a Dermatude treatment providing sun protection when the skin is at its most vulnerable. The light texture works as a shield while also calming, softening, and hydrating the skin.